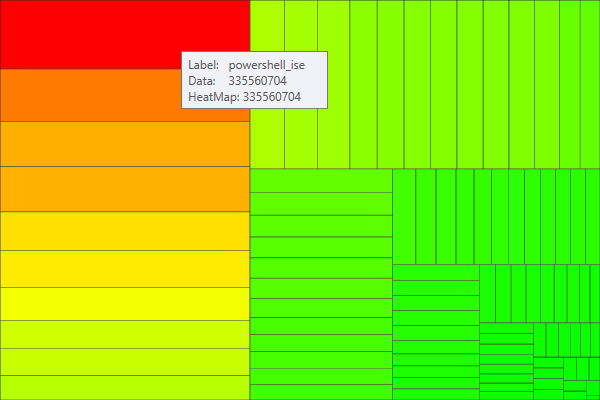 I was looking at VROPs recently and enjoyed looking at the data visualization that they used to show various states for things such as CPU, Memory and Disk Space for VMs and wanted to see if I could do the same thing in PowerShell, because why not? After some searching on what this is, I found that it is called a Squarified Treemap that uses a heatmap, meaning that there are potentially 2 data points here being used to make up the visualization of data. The first data determines the size of the area of the square (or rectangle depending on how it turns out) and the second data set determines its color on the heat map. One is example would be your file system. You could have a large square to show the count of files in a folder but shows as green because the total file size isn’t that large compared to another folder which might have a smaller square to show its file count compared to others. Find formula to calculate when a color should be Red or Yellow or Green with Red signifying that it is bad. This is what I first looked at to try and build out some code but while I was able to duplicate the approach initially, it quickly fell apart as I started using different numbers and actually blew up when the data point was larger than the width or height of the rectangle. 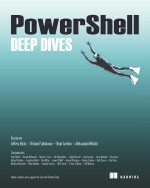 Reading all of these should give you a good idea on what I am trying to accomplish in PowerShell. Eventually I was able to figure out a good solution that didn’t really deal with trying to get as close as I could to the 1:1 aspect ratio but instead set a threshold on how much of the area of the rectangle that a single square could possible take up. I decided that I didn’t want more than 40% of the total area being used. The end result is a helper function called New-SquareTreeMapData which takes the incoming data from a custom object or a single data point and starts using an algorithm to determine a number of things such as how big each rectangle will be as well as its X and Y coordinates on a window with a given Width and Height. Write-Verbose "Adding `$InputObject to list"
#Write-Verbose "Adding $($_) to list"
Write-Verbose "Width: $Width - Height: $Height"
The gist of what it is doing is that we are determining the starting orientation to begin building out the squares based on the Width and Height. From there we start working through the areas of each data point and once we surpass the .4 that tells us to stop and begin processing the information that will contain our size, X/Y coordinates as well as some other information. Here you can easily see that I have spots for my label and data property, the row which is actually each iteration as it goes from the vertical to horizontal orientation. Also is the Width and Height of each data square and its coordinates. I also include the original object so we can create custom tooltips in the main function. 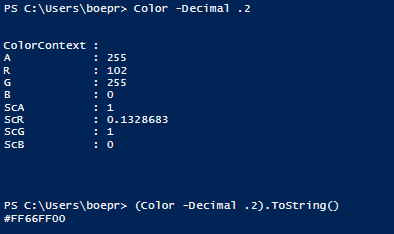 I opt to keep the Media.Color object and then convert it to its hexadecimal counterpart using ToString(). What I end up getting is a nice transition from my colors. Although I feel that the Green might be a little too light, I am not going worry about this at the moment because as of right now, it still works properly but is something that I would like to come back to and adjust. In the end, I put together a function which utilizes all of these helper functions and techniques to accept data from either the pipeline or as a parameter along with supplying some other parameters (if needed) to create a UI that displays a squarified treemap as well as a heatmap if desired. I also allow optional tooltips to display on each square that can provide more information about the square when you hover the mouse over it. Another example showing the MaxHeatmapSize parameter. Note that you don’t actually have to specify a heatmaproperty and it will default to a darker green color (this might be something worth changing in the future or adding another parameter to change this). So with that, feel free to give this a download and let me know what you think. The download links are below for both my GitHub source and the Technet Script Repository. I’m also interested in hearing how you might (or end up) using this in your day to day activities. This entry was posted in powershell, WPF and tagged algorithm, data, Powershell, squarified treemap, WPF. Bookmark the permalink.